Please note that this email address is for business purposes only so please be aware that I may not be able to reply to personal emails. You can always follow me on social media where we can connect. Thank you for your support. Hi Jordan. My name is kate oliver. I am 23 years old and I live in welwyn garden city, hertfordshire. I had a car accident 3 years ago which left me in a coma for 3 months suffering a (TBI traumatic brain injury), I then spent the following 9 months in hospital learning to do EVERYTHING again. I have fortuantely come a long way in the past 2 years, however i am still learning to walk as my balance is pretty rubbish. I have been to lots of groups to meet people who have been/ still are in the same boat as me, yet I havent found anyone I can sit and talk to. I realise we are both different physically, yet i think both our lives have massively changed and I would like to chat to someone who knows where im coming from. Wow! We have a similar story! I’m also 23, I was in a massive car accident almost 3 years ago, and suffered a TBI too! Along with multiple other injuries! Which I am also still recovering from. I live in Queensland, Australia! 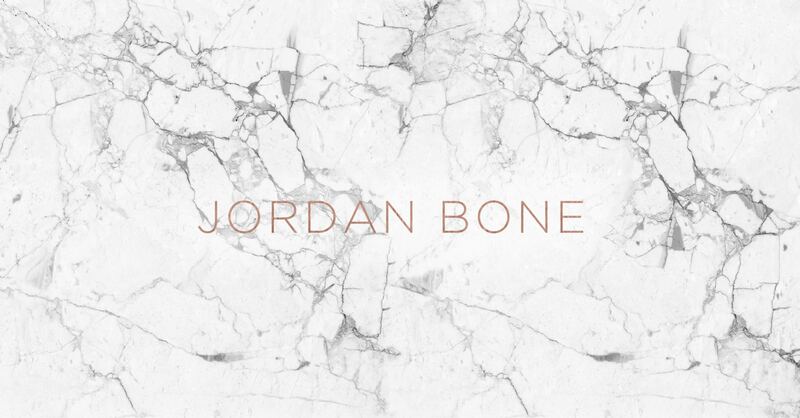 I have been following Jordan Bone and Em Carey ever since my accident! They are both so amazing and motivating! Without them both I would have given up a long time ago! Hi Jordan, i’m a french fan and i’m love your blog. You’re very pretty too. Is it possible to chat with you with skype ? Jordan you are absolutely gorgeous and I just admire your strength and perseverance!! I would love to know what makeup you us I find it all beautiful!!! I hope you stay positive and don’t let this cruel mean world ever bring you down! Thank you and God bless your sweet soul!! Your story is truely remarkable as you are. I myself am currently suffering from involuntary tongue moovements for the last 3yrs. No Dr seems to be able to help me. I just swallow every 5 – 10mins 24/7. I press my tongue on my teeth all the time. I have contemplated suicide but I have a son and don’t want to leave him on his own. Talking, eating, sleeping these are all very very difficult. I would love to be your friend my name is Allison. If you would like to email me sometime I would love that. hola jordan!!!!!!!!!!!!!!!!!!!!!!!!! soy un señor de argentina ,,,eres GRANDIOSA!!!!!!!!!!! ERES UN EJEMPLO SUPERACION …Y A PERSONAS COMO TU LAS ADMIRO CON LA MAS ALTA CALIFICACION………SIGUE ASI , VAS POR TU CAMINO .TU ENSEÑANZASTU GRAN EJEMPLO!!!!!!!! I cannot begin to explain the goosebumps I had gotten from watching your video. You see when I was 14 I was paralyzed from the neck down during a motocross accident. I spent many months in drugged induced coma, but as I was slowly brought out of the coma my arms gained more and more movement, however my hands remained these tight balls. It took a while but I became pretty self efficient at dressing, brushing my hair, transferring, bathing, and soon yes even my own makeup. The more I did with my hands the more they seemed to straighten out, which might seem weird to someone who hasn’t had to deal with “claw hand” or “swan neck” syndrome before. It has now been 11 years since I was changed forever, even though they say you have until after you turn 21 to gain anything back, this June I stood for the first time in a set of parallel bars, watched as the summer passed and my hands became more “normal”. All this because I finally got a spinal doctor that knew I needed therapy. Over the past 5 years I have managed and ran a very successful tattoo shop, adopted an adorable Great Dane, started school for Game Design and become a pretty damn good freelance SFX Makeup artist. I feel sometimes afraid to post videos on “how to” because of the different way I have to use my brushes, but because of your videos I feel like I will actually follow through on making these videos.! I work as Social Media Manager for a company called Limitless Travel who aim to revolutionise travel for disabled people by removing the stress, worry and hassle. I saw you in the L’oreal campaign and it inspired me so much. I have been a wheelchair user since I was around nine years old and as I was growing up it is definitely something that took some time getting used to. As a teenage girl I feel like you go through many different changes and if I had of seen people like you in the media a few years ago it would definitely have helped my confidence at the time. I would love to feature you on our blog to inspire others, is this something you would perhaps be interested in? We have very similar injuries. C6 here. I bet our x-rays look like twins. I just wanted to say thank you for writing your book and sharing your story. I have found it very helpful and it has given me strength during my latest hospital visit. I can’t believe how strong you are, and others that have commented on here! My challenges are different in the sense I am battling to save my sight in my right eye and have rheumatoid arthritis, although my illnesses are largely control by medication when they flare up it’s hard to work my body.